Idealista.com, a property portal, report that Spanish house prices have risen almost in line with inflation if you take 2002 as your starting date, both up around 30pc (see chart above). Back in 2007, house prices had risen 74pc, compared to inflation of 17pc, but since then inflation has risen by 11pc, whilst house prices fell by 25pc, bringing them more or less in line. As always, the returns depends upon the time-frame you choose. Idealista also reveal that asking prices in their database fell 10.2pc in 2012, and 30pc peak-to-present, the sixth consecutive year of falls, taking prices back to where they were in 2003. Offers recorded by Idealista suggest that buyers are asking for an additional 20pc off, and that prices need to fall 45pc to 50pc from the peak for the market to start clearing. The following table shows where prices fell the most in 2012, where they fell the least (left column), and where prices are most expensive (más caro) and least expensive (más barato) in €/m2. Fotocasa.es, a property portal, say asking prices fell 10.5pc in 2012, the sixth consecutive year of price declines, with a total cumulative fall of 36pc. 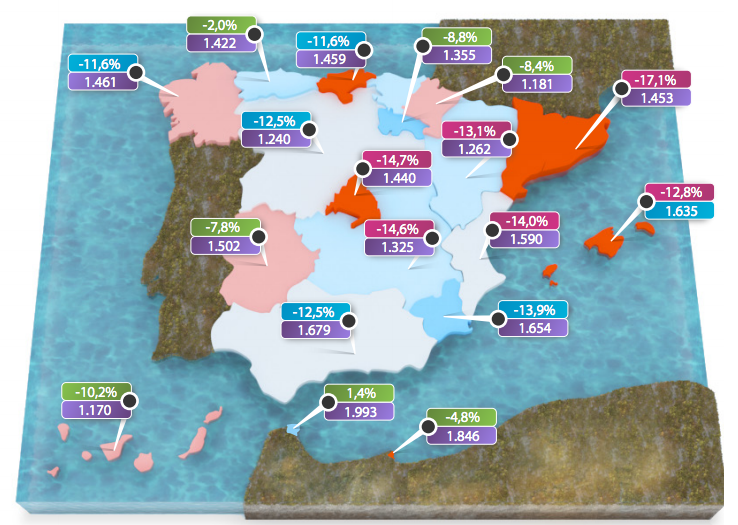 Another portal – hogaria.net – reports that resale asking prices fell 7.5pc last year, lead by Valencia (-11pc) and Alicante (-10.5pc), delivering the fith consecutive year of falls. They expect the same this year. 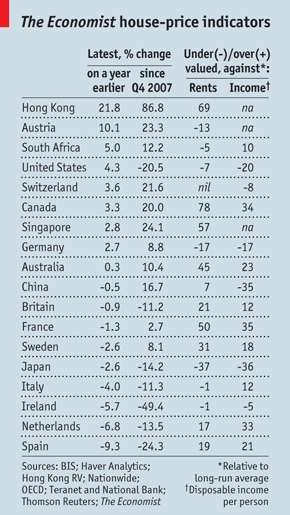 The Economist magazine says Spanish house prices fell 9.3pc last year, and 24.3pc since Q4 2007, but are still 21pc over-valued in relation to incomes, and 19pc in relation to rents (see table below). The Economist bases its analysis on official figures that understate the true extent of price declines in Spain, which is why Spanish house prices appear over-valued. In reality, Spanish house prices are not as over-valued as The Economist suggest, at least in relation to incomes and rents. Appraisal company Sociedad de Tasación say new house prices fell 9.6pc in 2012, which means a 33.5pc cumulative fall in real terms since the peak – taking house prices back to where they were at the beginning of 2003. Consultants R.R. Acuña & Asociados say house prices will fall another 11pc to 12pc in 2013, in part due to the end of tax breaks for buyers that will drive prices down to compensate them. The financial daily Expansion calculates that the end of tax breaks (effective at the beginning of this year) will put the price of a new main home up by 21pc, or €28,000 on average, from €135,000 to €163,000. Buyers will not have this extra cash, so prices will have to go down by a similar amount to find a buyer. 53pc of Spaniards think that house prices will continue falling in the next 12 months, according to the latest consumer confidence survey (December). 37pc say prices will stay the same. That leaves just 5pc expecting prices to rise. Of those who expect prices to fall, 41pc say it will be due to lower demand, 31pc say falling purchasing power, and 28pc say excess supply. Ratings agency Fitch say house prices will fall another 15pc before the market hits bottom, and bad loans will hit 11pc or more. Spain looks good in comparison to Ireland, where they forecast further house prices falls of 20pc. Ratings agents S&P say house prices will fall 7.8pc this year, and 6pc next year. High unemployment, rising taxes, the cost of living, and the ongoing credit crunch are all driving the market down, by 26pc so far since the peak in March 2008 they say. 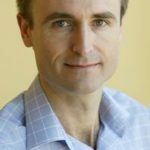 They also estimate that it will take another four years for the market to absorb the stock, and that prices will fall another 20pc before bottoming out. The following table summarises their expectations for nominal house prices and other key data over the next few years.